Kids are usually prone to illnesses and allergies quickly as compared to adults. This is because a child's immune system is weaker than adults and is under the developing stage. Besides climatic changes, there are many other factors that can cause allergic reactions on different parts of an individual's body. Ultra Care Medical Group is located at Al Safa in Dubai. They have a very friendly and comforting ambience created for their patients. Allergist diagnoses one’s body and prescribes treatments to allergies that impact their immune system. An allergist is someone who can treat chronic ailments and other diseases. An allergist performs diagnostic tests in order to identify the root cause of one’s sickness. From skin to ear and even eye allergy, an allergist can help in curing the worst forms of reactions. Immunological disorders caused in many patients can also be cured by an allergist. 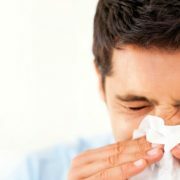 An allergy in Dubai Karama is a common issue faced by most and hence it is important to visit an allergist. An allergist finds out the cause of allergens that impact one’s body. A complete clinical evaluation of the allergies in each patient is done and then appropriate treatment is offered. If you are someone suffering from primary or common allergic reactions, you need to visit an allergist in Dubai who can study and determine the causative agents that cause allergic reactions. In certain cases, an allergist can provide you with necessary changes in diet that can cure the allergies. An allergist can treat problems like dermatitis, hay fever and various other allergies. A proper medical treatment is offered to prevent the body from being impacted by these agents. Allergists in Dubai are a part of the best medical clinics and hospitals in Dubai offering the best allergy consultancy services. Allergy specialist in Sharjah can be extremely helpful in treating allergic reactions caused due to food or dust. There are many specialists offering allergy shots in Dubai. An allergist or immunologist will tackle the problem caused to you due to allergens from the root. You can visit an immunologist in Sharjah for the best medical treatment. Climatic changes are a common reason in Dubai for occurrence of allergies. A visit to the finest allergist in Dubai can help in tackling this issue. So go ahead and find the best Allergy clinics and hospitals In Dubai on Fidoc. 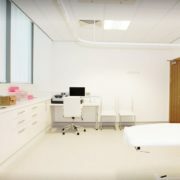 Make an informed choice when it comes to accessing healthcare, and book appointments at the best clinics and hospitals in Dubai.